The Department of Arts, Heritage and the Gaeltacht has taken 11 successful prosecutions in recent years relating to individuals for breaches of section 40 of the Wildlife Acts for the burning of gorse and vegetation, according to Minister Heather Humphreys. She said where evidence is forthcoming, appropriate enforcement under the Wildlife Acts or other legislation is pursued. The Minister said that fines were imposed in all 11 cases, ranging from €50 to €600 and in some cases, the defendants were also ordered by the Court to pay legal costs and expenses. She also said members of An Garda Síochána are also authorised officers to prosecute breaches of the Wildlife Acts. Recent weather conditions resulted in circumstances that made fires more likely to spread when they occurred. 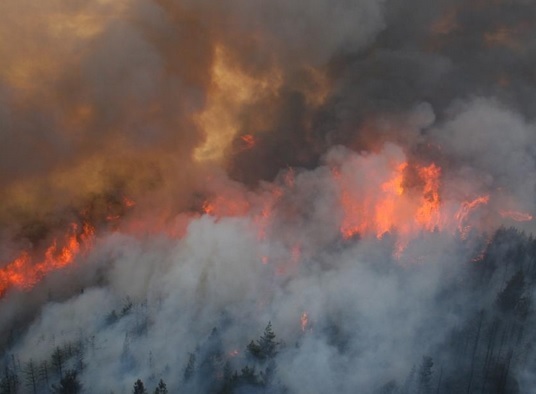 Because of the remote locations of much of the designated lands and the sporadic occurrence and dynamic nature of recent fires,Minister Humphreys said it is difficult to accurately quantify the damage that has been caused. Officials from my Department work closely with the Department of Agriculture, Food and the Marine and the Garda Síochána, as appropriate, to investigate the causes of wild fires, such as those which have recently affected a number of designated sites and Killarney National Park. Under section 40 of the Acts, burning of vegetation on uncultivated land is prohibited without exception from 1 March to 31 August primarily as a means to protect nesting and breeding birds and prevent forest fires. The Minister said she has established a Working Group to consider all submissions received during a recent consultation process in relation to the operation of section 40 and to report back to me with a range of proposals. Any changes to the closed period as provided for under section 40 would require amending legislation. Innocent farmers who have seen their lands set a blaze in recent weeks will not have their farm payments penalised. This point was stressed by Dr Kevin Smyth, Assistant Secretary in the Department of Agriculture at a hearing of the Oireachtas Committee on Agriculture this week. Concerns had been raised over recent Department guidelines on land eligibility for farmers payments that said where land has been burned, it is not in a state suitable for grazing or cultivation and therefore is not eligible.